Janet teaches systems analysis and design, information systems management, and research methods. 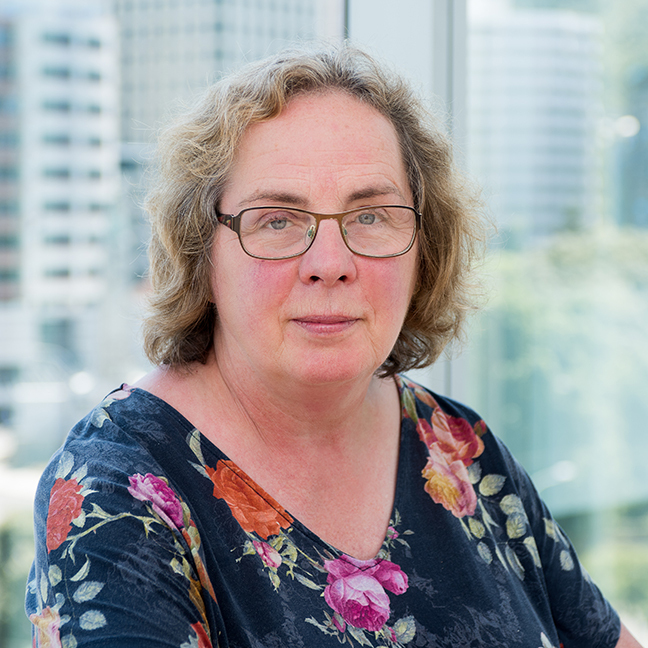 Originally from the UK, Janet started off her career as a Computer Programmer for British Steel, and after completing a Master's degree moved on to work as a Project Leader for Greater London Council. She has lectured at the University of Northumbria at Newcastle, and Sheffield Hallam University, both in the UK. She has also worked as a Lecturer at Tonota College of Education, Botswana, and at the University of the South Pacific, Fiji. Janet’s research interests include sustainable information systems and the history of ICT. Her PhD and Masters students have investigated topics such as green information systems, social commerce, strategic alignment, information systems in NGOs and the use of ICTS in tourism. Toland, J. (2010). From Eftpos to TradeMe: The growth of electronic commerce. In Janet Toland (Ed. ), Return to tomorrow: 50 years of computing in New Zealand. Wellington: NZCS. Tavassoli, L. & Toland, J. (2008). Strategies for dealing with end-user resistance. ACIS Conference, 2-5 December, Christchurch, NZ. Fearon, J. & Toland, J. (2008). The access, influences and motivations of women studying information technology in New Zealand. ACIS Conference, 2-5 December, Christchurch, NZ. Elgort, I., Smith, A., Toland, J. (2008). Is wiki an effective platform for group course work? Australian Journal of Educational Technology, 24(2), 195-210. Toland, J. (2007). E-Commerce in developing countries. In Felix B. Tan (Ed. ), Global Information Technologies: Concepts, Methodologies, Tools, and Applications (pp. 172-179). Hershey, PA, Information Science Reference. Tate, M., Johnstone, D., Toland, J. (2007). How the current orthodoxy of local government is failing IT managers: An illustrative case study. International Journal of Electronic Government Research, 4(4), 509-526. Toland, J., Purcell, F., Huff, S. (2008). Digital government in remote locations. In Felix B. Tan (Ed. ), Global Information Technologies: Concepts, Methodologies, Tools, and Applications (pp. 139-147). Hershey, PA, Information Science Reference. Evermann, J., Hooper, V., Yoong, P., Toland, J., Scornavacca, E., (2007). The discovery camp: A talent fostering initiative for developing research capabilities among undergraduate students. Issues in Informing Science and Information Technology, 4, 211-225. Kashanchi, R. & Toland, J. (2006). Can ITIL contribute to IT Business Alignment? An initial investigation”, K. Wirtschaftsinformatik, 48 (5), 340-348. Yoong, P., Abbott, J., Toland, J., Joe, C., Molina, M. (2006). The Development of a Community of Academic Researchers: A Social Capital Perspective. International Journal of Knowledge, Culture and Change Management, 5 (7), 69-80. J. Toland and P. Yoong. "Learning Regions in New Zealand: The Role of ICT," International Journal of Education and Development using ICT 1, no. 4 (2005). Purcell, F. & Toland, J. ( 2004). Electronic Commerce for the South Pacific: A review of e-readiness. Electronic Commerce Research Journal, 4 (3), 241-262. Frank, J. & Toland, J. (2002). Email as a learning technology in the South Pacific: An evaluation. Educational Technology & Society, 5 (3), 40-53.